The most recent version is 5.2.0, released on May 24, 2017	[1 year, 11 months and 1 day ago]. Morovia DataMatrix Font & Encoder 5 (previously referred as DataMatrix Fontware) is a major release of data matrix font product. Morovia DataMatrix Font & Encoder 5 includes one true type font, font encoder DLL, ActiveX control and encoder GUI programs. 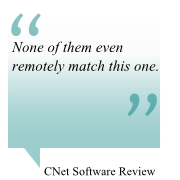 Both 32-bit and 64-bit DLLs are included. The font has undergone major revision in this release, and the encoder API is not backward compatible with early versions. True type font of precise design: mrvdatamatrix5.ttf. Scalable PCL font to be used on PCL-compatible printers. 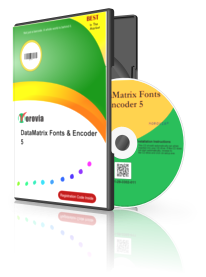 DataMatrix Encoder GUI 5, which allows you to create barcode strings, export image files and so on. Programming interfaces are provided in two forms: Windows DLL and ActiveX control. Both 32-bit and 64-bit versions are included to allow seamless integration with either 32-bit and 64-bit applications. Support Microsoft Office 2011 64-bit. VBA module is updated to be used on both 32-bit and 64-bit Office programs. 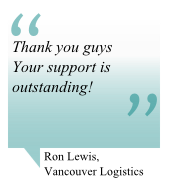 Support SQL Service Reporting Service 2000, 2005 and 2008. See the manual for detailed tutorial. 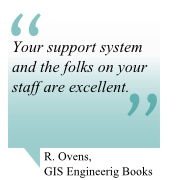 Support Crystal Reports 9.0 and above. Works with 64-bit Crystal runtime. The package includes 1 true type font. DataMatrix Font Encoders (ActiveX and GUI versions) are included. 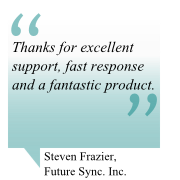 Also included are the samples for Microsoft Access, Mail Merge and Crystal Reports. Note that the DataMatrix Font Encoders (as well as these samples) can only run under Windows platforms. If you are looking a solution utilizing PCL fonts, download DataMatrix PCL font evaluation kit, version 5 (ZIP, 145,638 bytes). The data matrix encoding is very complicated so we include the DataMatrix encoder with every package. We recommend you to print at point size 6. Automatic encodation switch to produce the minimum sized symbol. 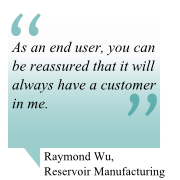 Many other datamatrix encoder software can only encode one of the predefined encodation set, which is not standard complaint. Macro 05 and 06 support, which is required to create Department of Defense UID (MIL-STD-130N) compliant symbols. Fully support of GS1 DataMatrix with FNC1 symbol escaped as ~1. To encourage purchases of the retail version, the data matrix symbol generated by the encoder contains "demo" text. This limitation is removed in the retail version. It is impossible to manually convert input into barcode string. You need some programming knowledge to integrate our Encoder API with your program. Currently the encoder programming interface is available only on Windows platforms. You can find example programs written in C++, .Net and Crystal Reports in the installation directory.